CoolZone Air Conditioning needed to use its considerable experience to install a range of new and upgraded energy efficient water side fan coil units to serve the newly refurbished Busy Bees Nursery, Egham site. This project required chemical cleaning and testing of the existing 4 pipe system and a complete service to the existing Rhoss Clima Evolution chiller unit and ventilation system. The renovation works at Busy Bees Nursery, Egham were extensive, outdated single split wall mounted systems were decommissioned and all the old water side fan coil units were removed before any new installation works could commence. The chilled water system and hot water system had a full water treatment service by carefully selected specialists before CoolZone began to fit 19 new Dunham Bush ducted fan coil units and their associated controllers, actuators, valves and air sensors. To keep the project within a very tight budget the new FCUs were installed in similar positions to their predecessors so that the existing pipe work could be utilised effectively. This created some challenging work installing ductwork in limited ceiling voids which allowed the supply air grilles to be positioned effectively in their respective new room layouts. Through their experience and clever solutions to the layout issues the CoolZone engineers could ensure units provided each room with individually controllable heating and cooling throughout the year. Due to low stock levels and delays with the production of the new fan coil units the air conditioning works began two weeks behind schedule. To get back on track CoolZone organised delivery of the units for the earliest available Friday and booked additional engineers to work extended hours over that weekend shift to ensure the fan coils were installed as quickly as possible so that no other building works were held up any longer than necessary. 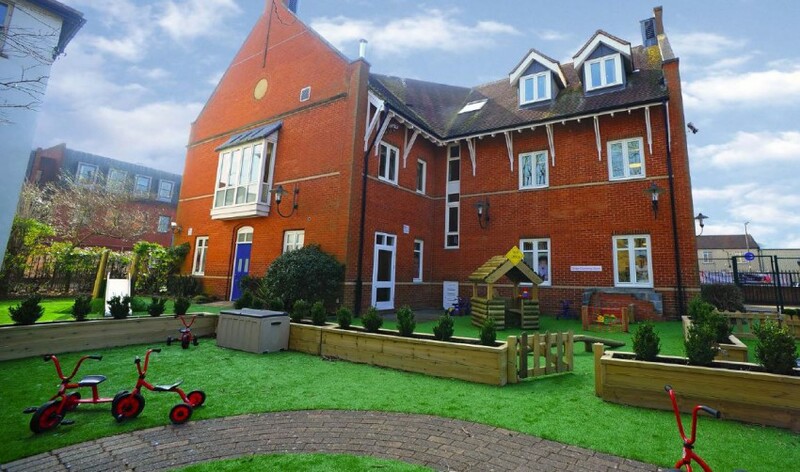 As the Busy Bees Nursery, Egham project progressed it became clear that there were additional ventilation works required, some additional new extract systems needed to be installed and faults found with existing systems needed to be repaired. This required CoolZone to increase the workload by adding late evening shifts to ensure that the project stayed on track and was completed as swiftly as possible with little or no disruption to the schedule. The air conditioning works for this project required CoolZone to engage and manage the services of other specialist trades such as the water treatment company whilst maintaining a works schedule that considered them, the central control unit engineers and the engineers responsible for replacing the boilers that served the hot water system.